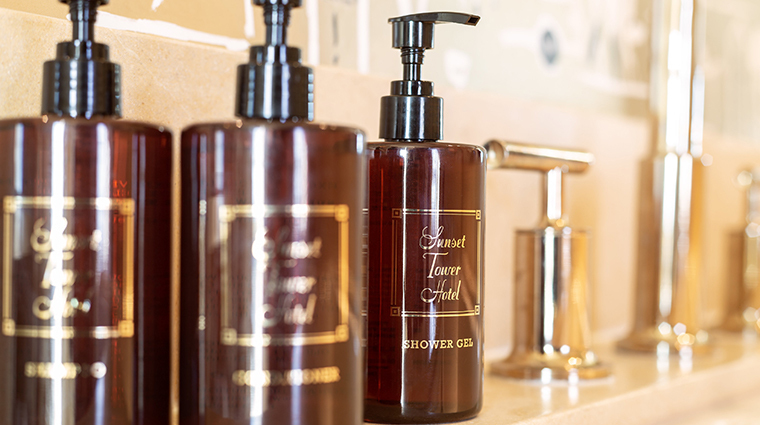 Home to many of Hollywood’s greatest early stars, Sunset Tower Hotel is an iconic beauty on the Sunset Strip. Today, the 14-story zigzag-moderne-style structure is a celebrity work-social hot spot, much like it was in Tinseltown’s golden era. 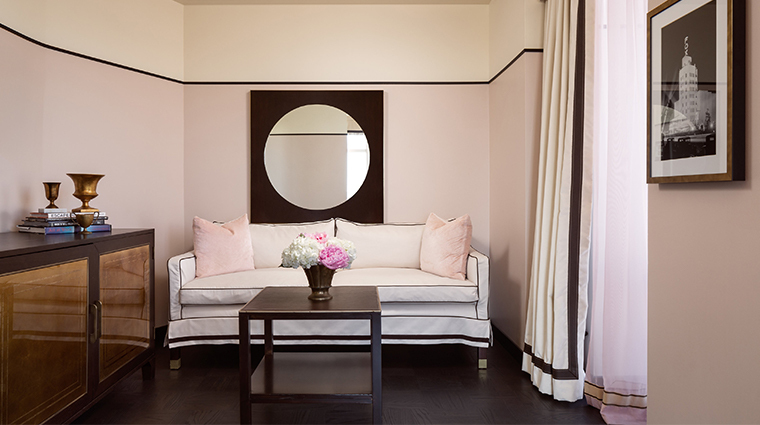 Designed by famed architect Leland A. Bryant as an apartment building in 1929, it especially was a hub of the who’s who until the 1950s, housing celebrities from Bugsy Siegal to Howard Hughes. But the movie-star guests aren’t the property’s only claim to fame — the building has starred in its fair share of films, from The Italian Job to The Player. 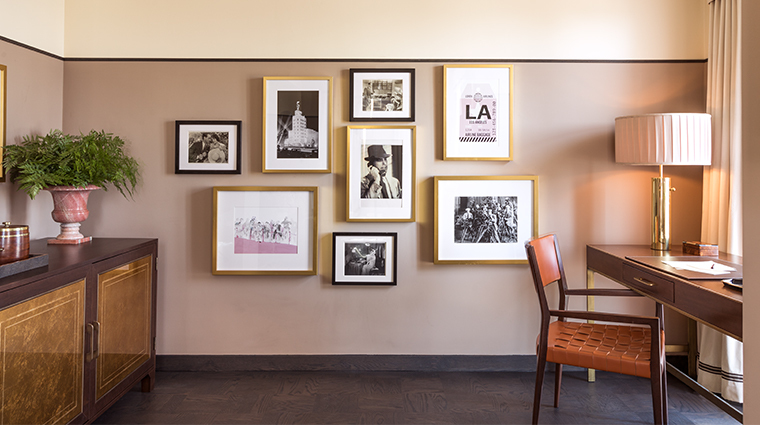 Throughout the hotel, you’ll notice black-and-white candid photos of its celebrity patrons throughout the decades. 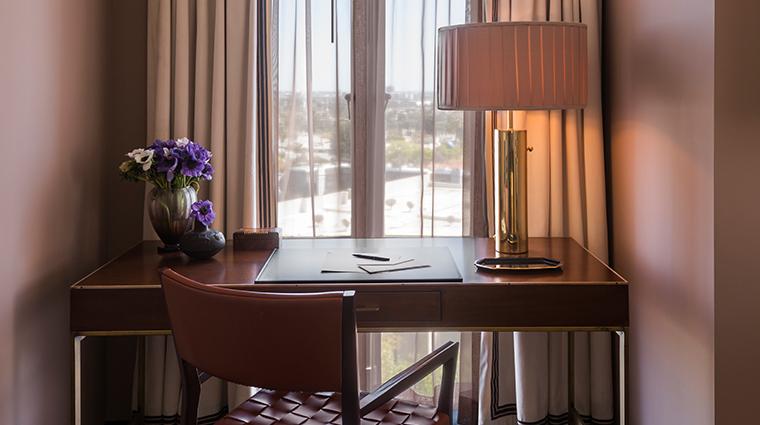 Sophisticated and subdued in décor and service, the newly renovated property has been the site of Vanity Fair’s Oscar party for several years and is now the hotel of choice for many award nominees. 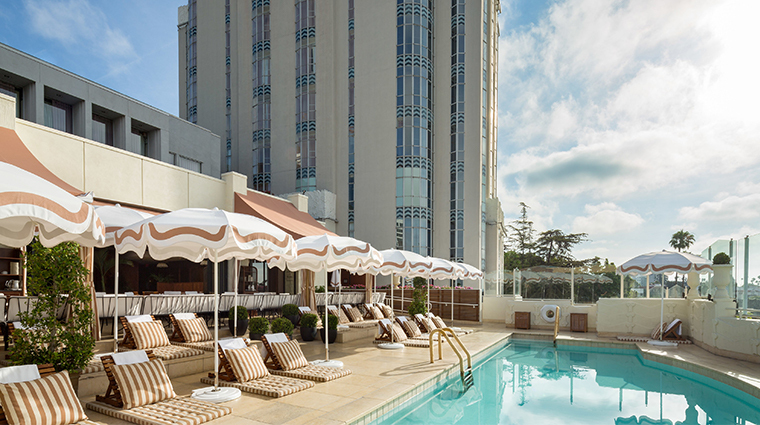 Sunset Tower is an architectural and art deco rarity. 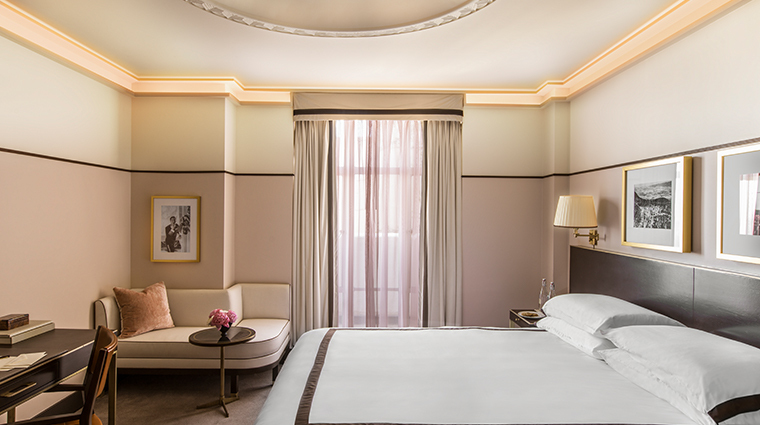 If you enjoy staying in historic hotels with soul, this should be your homebase for a Hollywood getaway. 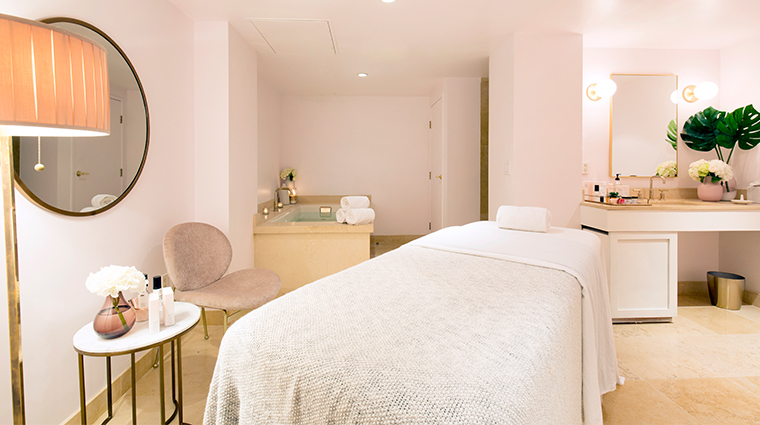 This storied L.A. stay is home to the only West Coast spa by celebrity facialist Joanna Vargas. She comes in once a month for personal appointments with her celebrity clientele — call in advance to see if you can snag a treatment with Vargas herself. Tower Bar is a nostalgic step back in time to the golden era of Hollywood supper clubs — except with modern-day celebrities dining next to you. Keep your eyes peeled for celebrity occupants. 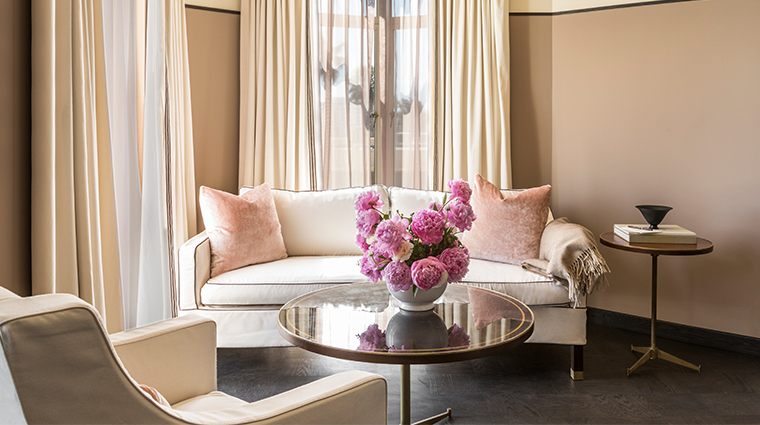 Just as it was the former residence of many stars — such as John Wayne and Frank Sinatra — the property is still a temporary home to actors and musicians when they’re in town. 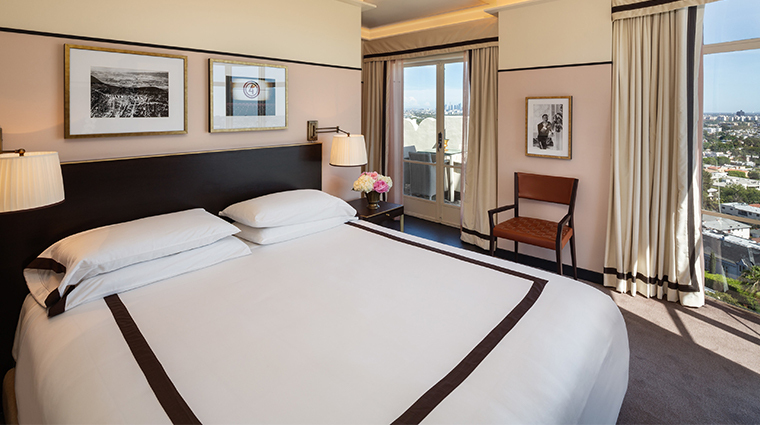 The hotel’s location, right on Sunset Strip, is ideal if you have business in Hollywood or simply want to take in the sights or hit nearby nightclubs. 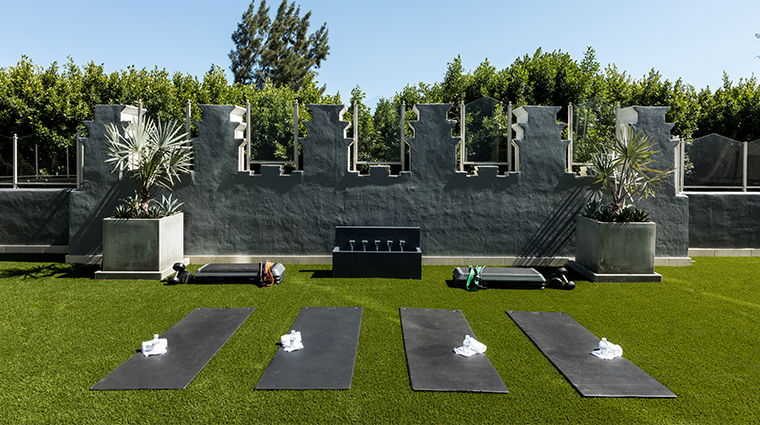 It’s only a few minutes’ drive to Grauman’s Chinese Theater in Hollywood, the Runyon Canyon hiking trail or shopping on Melrose Avenue or Rodeo Drive in Beverly Hills. At Tower Bar, if you want to dine at prime time (7:30 p.m.) any night of the week, make reservations at least a week in advance — it’s always a bustling scene. 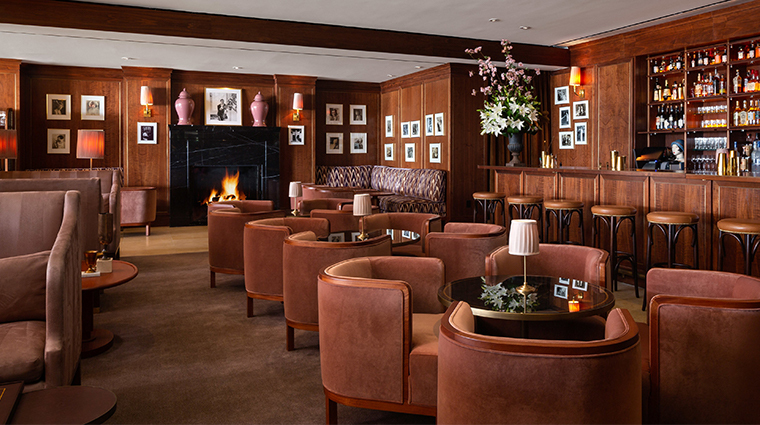 The new Terrace Room Bar features intimate booths, walnut-covered walls and a fireplace. Celebrity favorites are rooms 1207 and the Penthouse Suite. 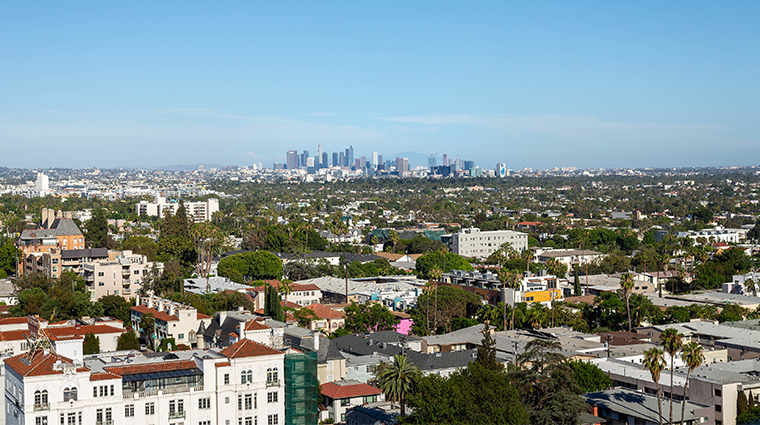 Both have spacious terraces with star-quality views of the City of Angels. 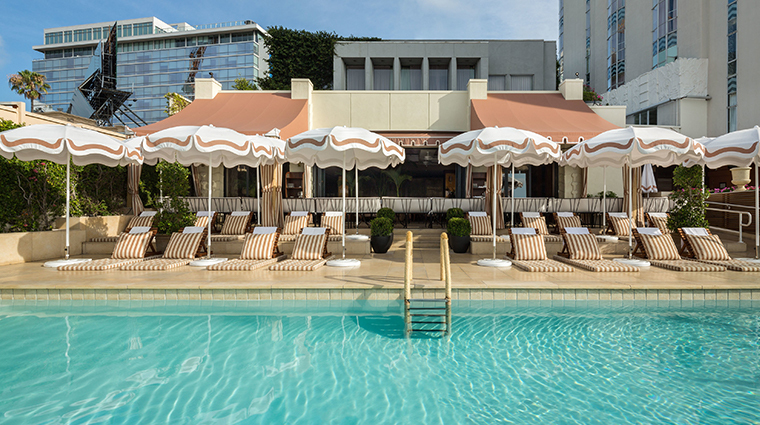 The L.A. hotel boasts a boutique feel with just 81 spacious accommodations, including 30 suites. 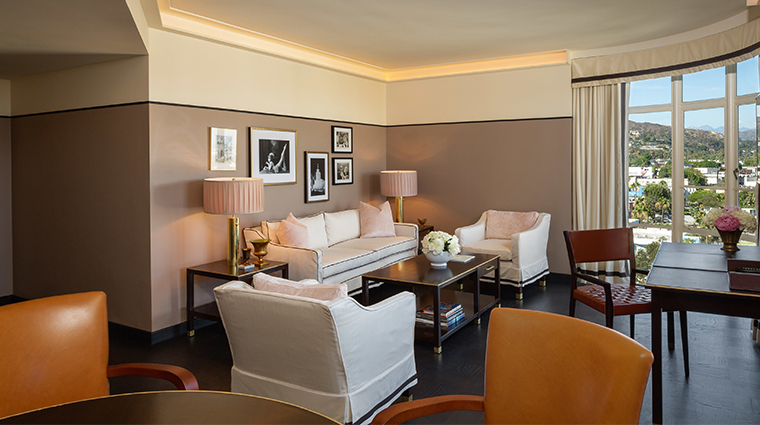 Two Penthouse suites and split-level Townhouse Suites provide a posh pied-à-terre for those who desire a longer stay. 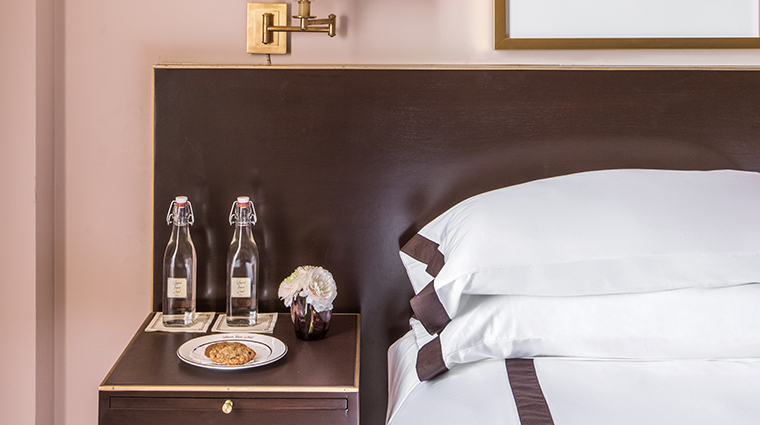 Rooms are equipped with Kiehl’s toiletries, a gourmet minibar, a Nespresso machine and complimentary WiFi. 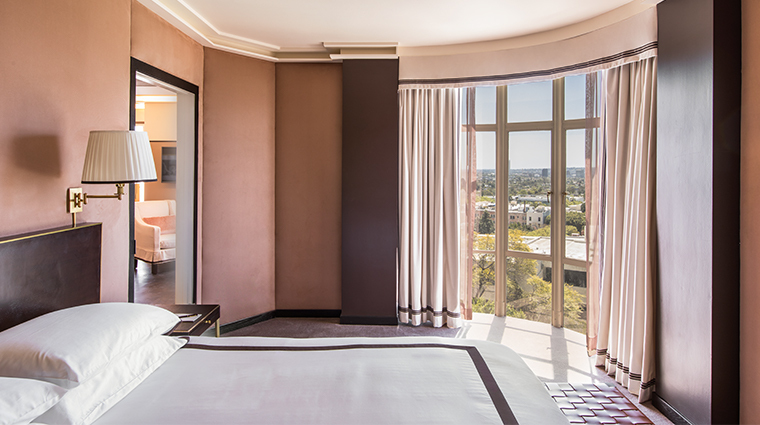 As a former apartment building, the hotel’s accommodations are quite spacious and offer floor-to-ceiling windows that allow ample natural light to the already-airy rooms. 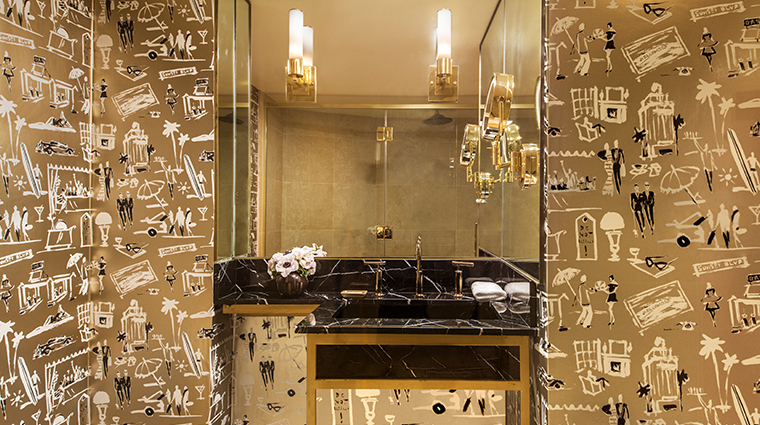 Modern updates to the art deco spaces include gorgeous French oak armoires, black marble bathroom countertops, custom wallpaper depicting iconic Sunset Strip landmarks, leather bench seating, plush duvet covers and cream-and-black-trim couches. The Hollywood hotel’s wood-paneled, dimly lit The Tower Bar restaurant, is an intimate space (30 tables) usually filled with larger-than-life diners. 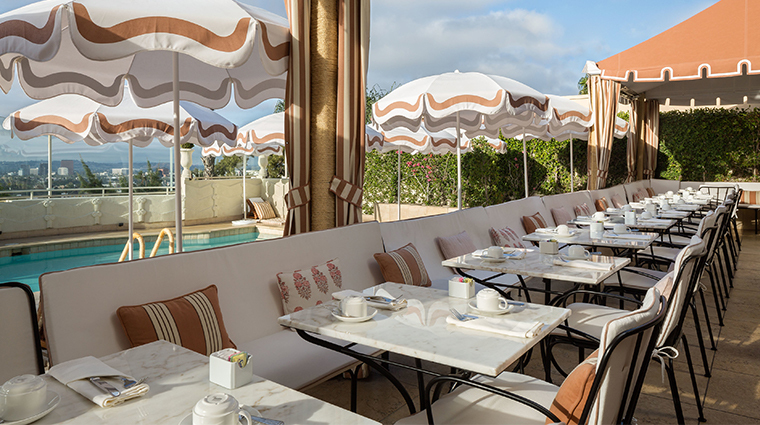 It’s a favorite power spot of Hollywood’s A-listers — George and Amal Clooney celebrated their first anniversary here. The menu is an ode to Americana nostalgic comfort foods, from pigs in a blanket and fried chicken to chili and chicken pot pie, with a few modern favorites as well, like Brussels sprouts, truffle mac and cheese and lobster tacos. Jazz tunes fill the air, compliments of a talented piano and bass player duo. 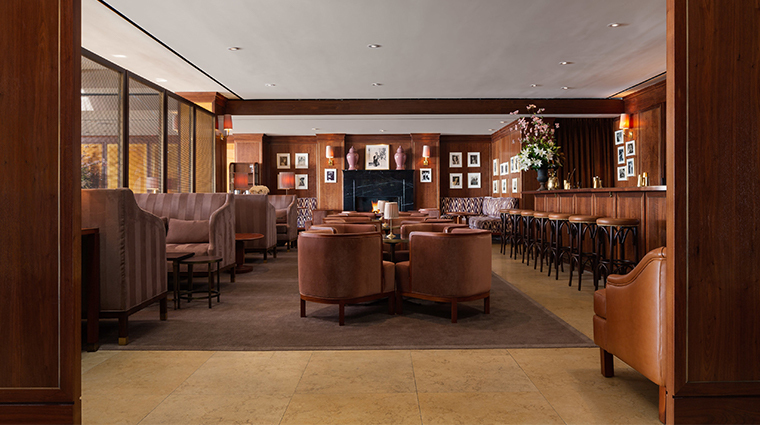 The Tower Bar is one of the only high-end restaurants in town that offers a design-your-own sundae bar. So, channel your inner kid and order up an extra dollop of chocolate sauce topped with sprinkles and peanut M&M’s. 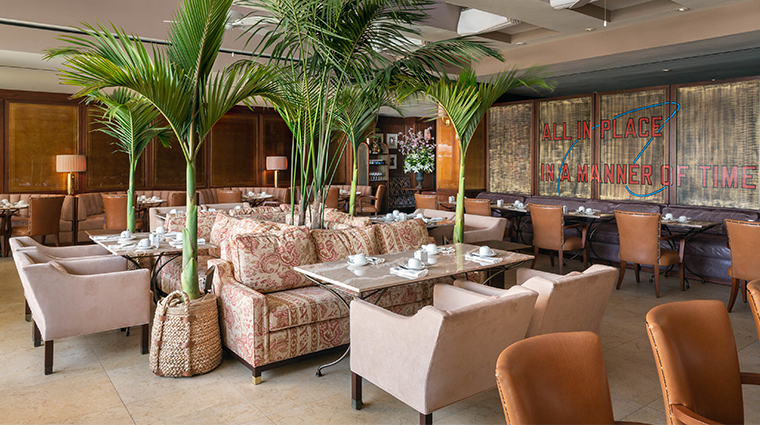 The Tower Terrace, a popular spot for brunch or lunch and during dinner when the Tower Bar is full, features an impressive bar and refreshed dining room.